Sabrina Fairweather is an airship captain with a bleak birthright. In an effort to keep her family history under wraps, she finds herself blackmailed into the unthinkable --- kidnapping a traumatized shifter out from under the noses of Sabrina's only true friends. Unfortunately, a handsome dragon with a flair for sniffing out mysteries makes her task more difficult than it at first appeared. Can Sabrina protect her heritage and shield her friendships...or will desperate lies and layer upon layer of deceit finish turning the Fairweather name to mud? 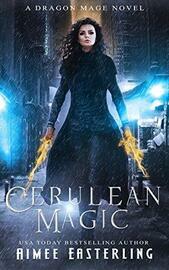 Cerulean Magic is a standalone adventure in the Dragon Mage world. Although all novels in this series can be enjoyed as one-offs, chronological reading order begins with Verdant Magic.